Kolossal Games will release its butterfly-themed strategy game Papillon next March. In Papillon, players build colorful flower gardens to attract butterflies. The butterflies are built with clips so they can be attached to the game’s three-dimensional flowers. 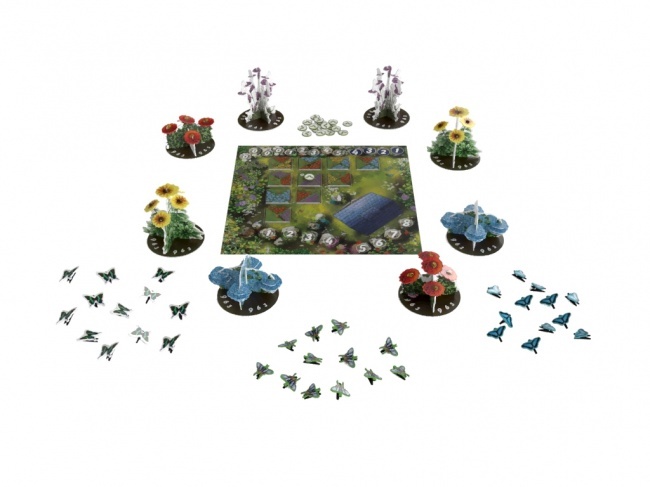 The game features a bidding system, where players bid caterpillars from their personal gardens to win the right to draft tiles that show flowers. The flower tiles are then added to their individual gardens, awarding points and additional caterpillars for bidding later. Butterflies are earned by completing flower patches, and players attach them to the flowers they want to compete over, earning points through an area control mechanic. 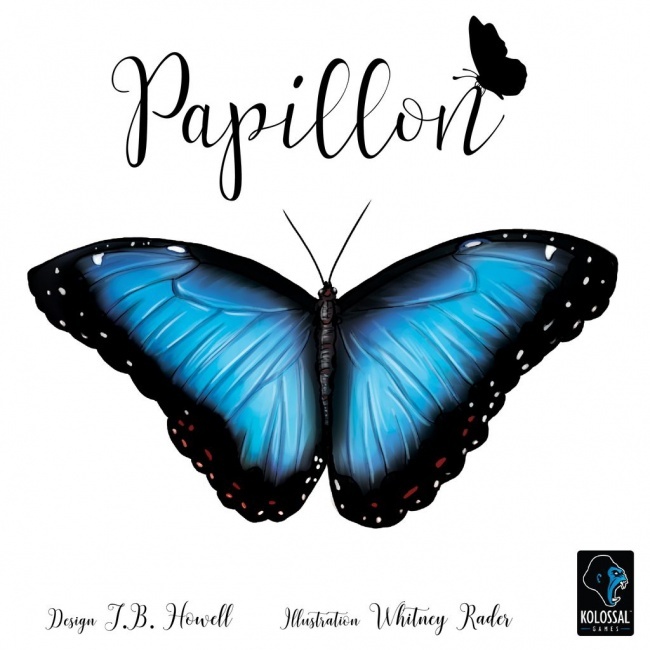 Papillon was created by J. B. Howell and features artwork by Whitney Rader. 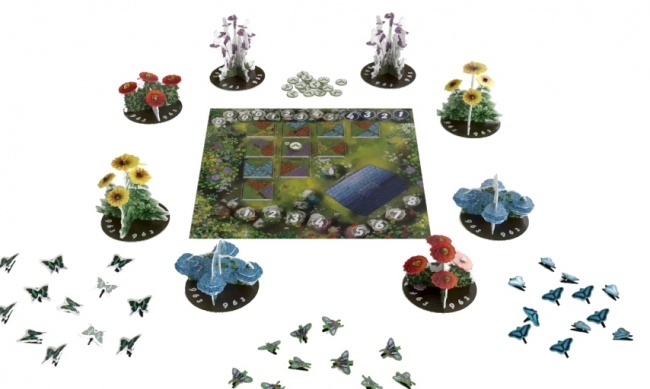 The game includes 1 game board, 4 wooden gardeners, 48 butterfly clips, 8 flower standees, 16 flower base pieces, 104 tiles, 64 tokens, a scoring pad, and a cloth bag. 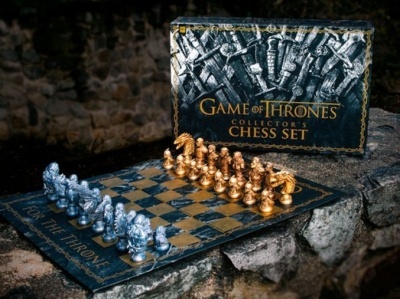 It is intended for 2 to 4 players, ages 14 and up, and takes a little over half an hour to play. MSRP has not been finalized, but Kolossal expects it to fall in the $45.00 to $50.00 range. Kolossal is funding the production of Papillon with a Kickstarter campaign that attracted $75,079 in pledges from 1,328 backers as of this writing (an average of $56.54 per backer). The company plans to begin backer fulfillment in January, with release into retail stores once 95% of backers have been shipped their copies. Two other designs by Howell are currently in the works at other publishers: Reavers of Midgard from Grey Fox Games (see “Grey Fox Goes Viking Again with ‘Reavers of Midgard’”) and Flotilla from WizKids (see “WizKids Imagines Alt-history Apocalypse with ‘Flotilla’”).